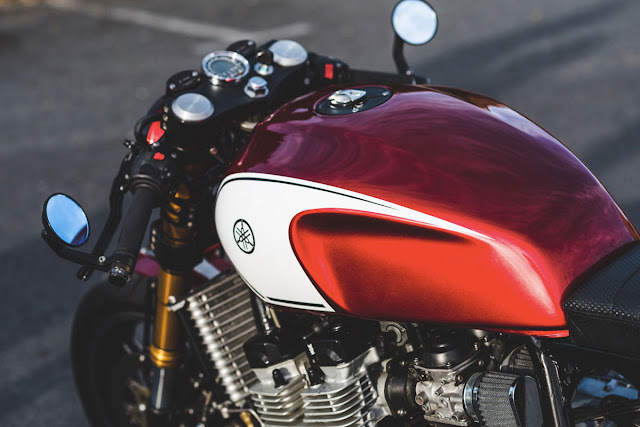 I think, Cafe Racer are designed to ride the way more respectfully. The stance, look, riding comfort all seems to be well in a cafe racer. 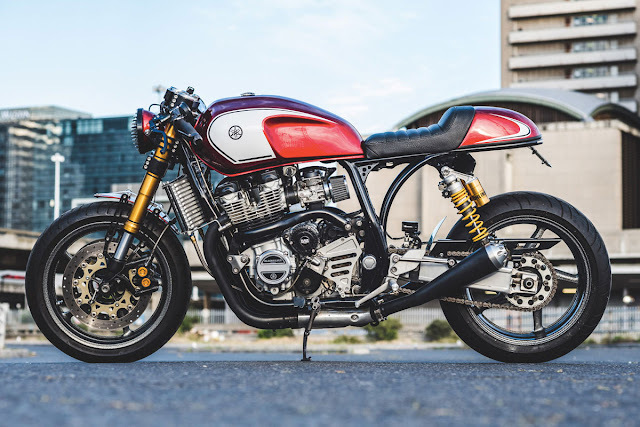 This cafe racer is done Blacksilver customs which gives a new look to the Yamaha XJR1300. The modification includes the changing of front and rear parts which are taken from Yamaha R1. 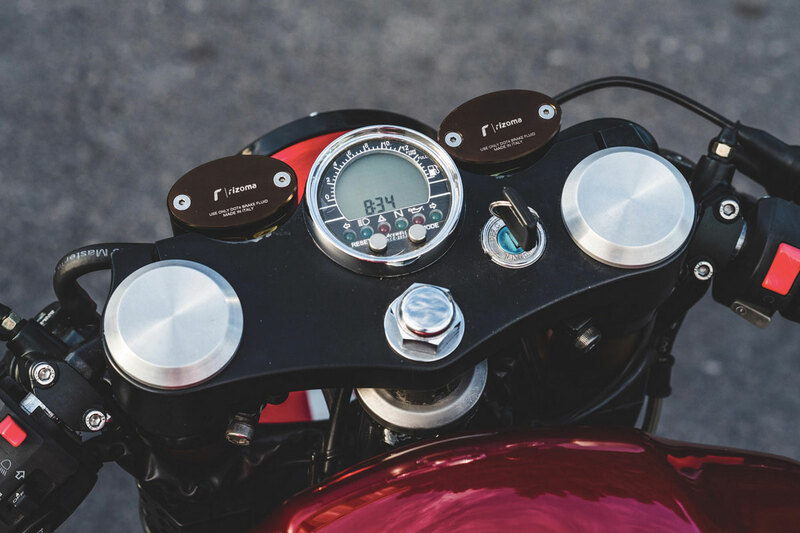 Acewell speedometer and Rizoma fluid reservoir is used. Long and fat axle is build and machined swingarm is used. They build a new subframe adjacent to the fuel tank. New Front fender is designed for this bike. The engine remain stock but the carbs were rebuilt and tuned to pod filters. Pod tuning is done by the Rudi Du Toit. R1 forks and ohlins shocks were built by Dave Mills.